Instant Mullet Headband | Give Yourself a Mullet! So you're suiting up for an eighties-themed fancy dress party and you've decided that a magnificent mullet would be just the thing to round off your outfit. You could grow a mullet, but a) that takes time, and b) you'd have to actually live with having a mullet afterwards. Instead, then, just grab the Instant Mullet Headband, slap it on your bonce, and party like it's nineteen-eighty-something! 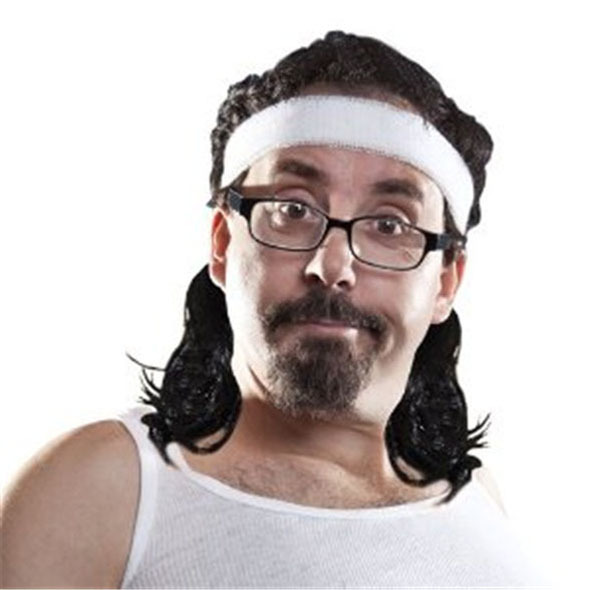 The mullet is a significantly under-appreciated hairstyle of the past century. Though a decent mullet can still be found sported by the occasional hillbilly, at large the mullet has died out. RIP. 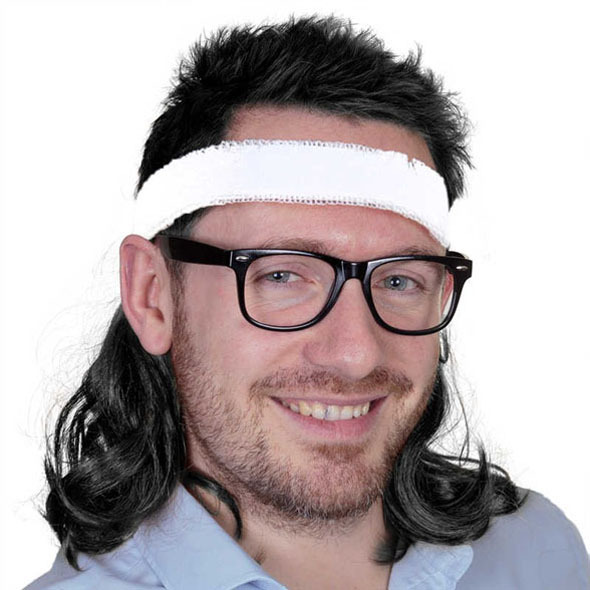 However, you can do your bit to bring it back by popping one of these Instant Mullet Headbands in your basket and continuing the party that is always at the back (business at the front, of course). 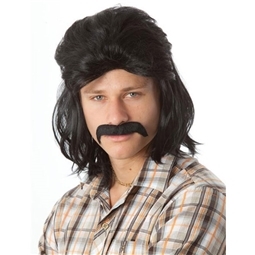 The Instant Mullet is a fantastic fancy dress accessory or genuinely a blummin' marvellous hairstyle if you just fancy a change for the pub. 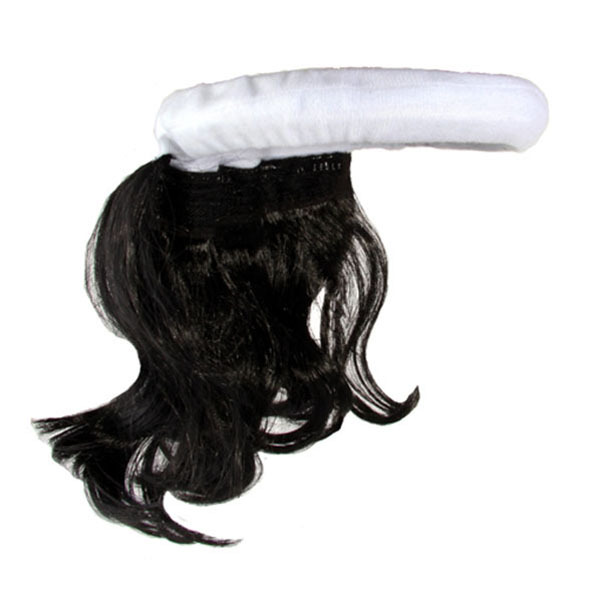 The Instant Mullet is mounted on a headband that's easy to put on and easy to remove at your leisure. This inexpensive costume accessory is great for '80s and poor taste fancy dress parties.